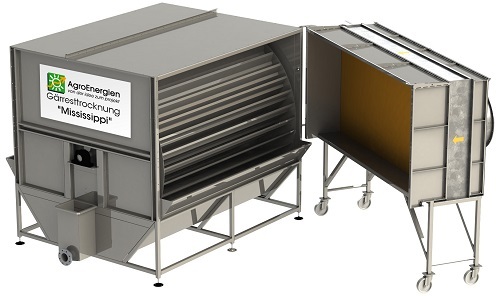 The AgroEnergien Mississippi Digestate Dryer is suitable for efficient, bonusworthy heat utilisation, for drying digestate to reach a dry matter content of max. 12%DM. The structure of the digestate dryer is similar to the paddle wheel of the legendary Mississippi-steamboat. With every rotation, the paddles on the back side of the dryer immerge into the digestate that is to be dried. While going through the digestate, it is homogenised, so that the buildup of floating layers, incrustations and sedimentary depositions is impossible. On the front side of the digestate dryer, the paddles emerge from the digestate and carry a certain amount of the substrate, which is then dried in the airstream. 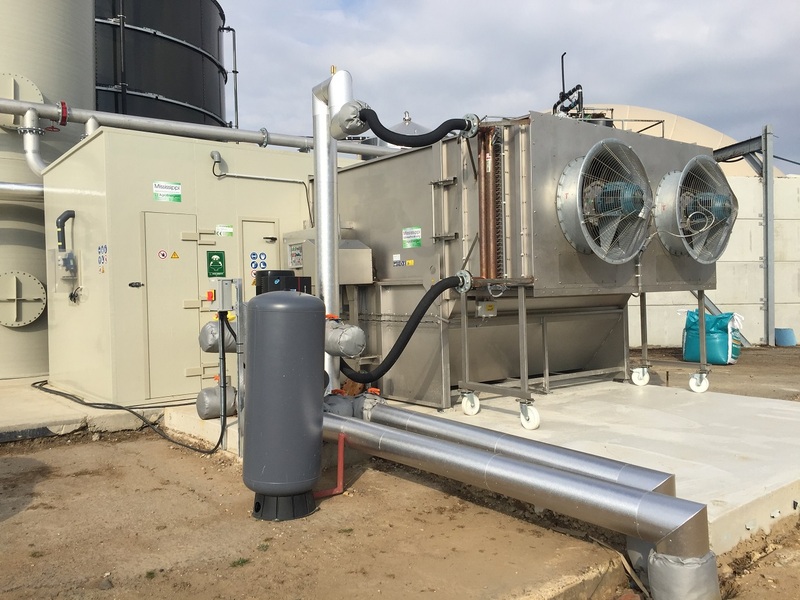 A heat exchanger, which is adjusted to the available amount of heat, is connected upstream of the digestate dryer. 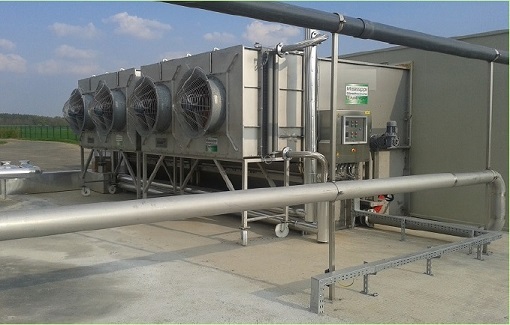 Cold external air is heated by flowing through ventilators connected upstream of the heat exchanger. 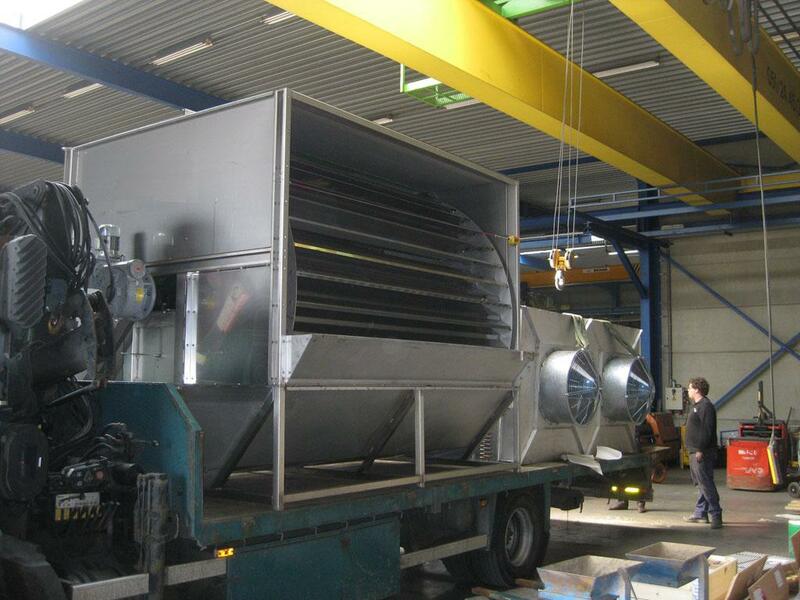 After flowing through the AgroEnergien Mississippi Digestate Dryer, the damp and ammoniacal air is then cleaned in air purification system and finally escapes into the air. basinattachments such as piping, filling level probes, etc.